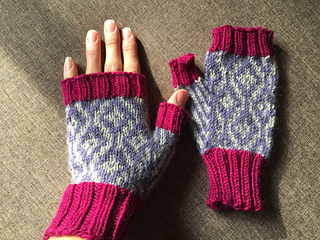 Knit with long contrast coloured cuffs and a simple striped thumb gusset. 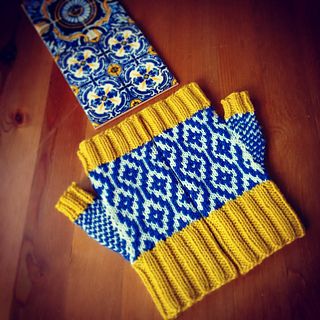 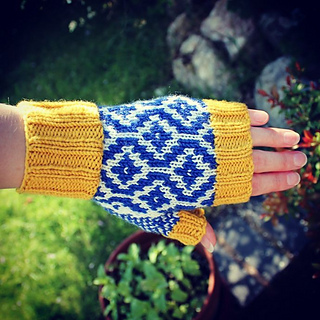 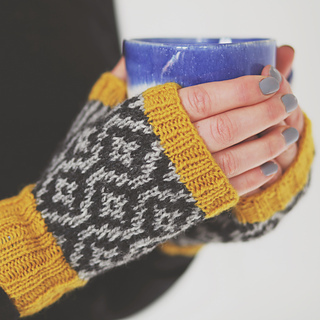 Delta Mitts are comfortable, cosy and quick to knit. 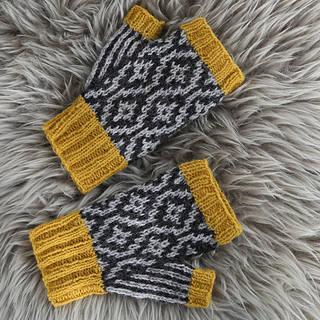 These yarn quantities should be sufficient to make both the mitts and the hat. 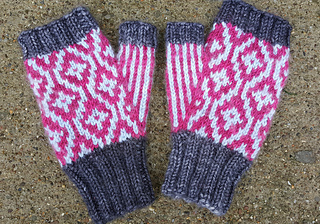 DPNs can be replaced with your preferred method for knitting small circumferences in the round.